Durango native David Walters, second from right, competes on Game Show Network’s new show “America Says,” which will be aired Tuesday. Being an armchair game show contestant is a piece of cake: We know all the answers to all the questions, and always hit the buzzer faster than the contestants on television. It’s not that easy in real life. Just ask Durango native David Walters. 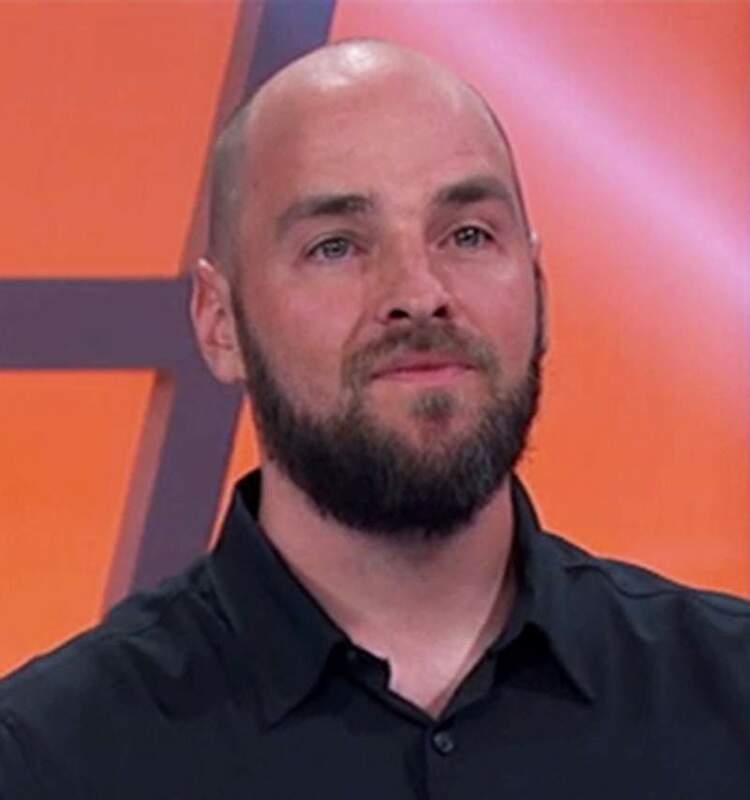 The 2001 Durango High School graduate will be on the Game Show Network at 3 p.m. MDT Tuesday competing with his team “Team Dodgeball” as they compete for $15,000 in the new game show “America Says,” hosted by actor John Michael Higgins. “America Says” is a lot like “Family Feud”: Two teams compete against each other by guessing how Americans filled in the blanks of questions. The questions are put up on a board for everyone to see. Higgins gives contestants the first letter of the top-seven answers, and they have 30 seconds to guess as many of the answers as they can. Every correct guess is worth 100 points. If teams match all seven answers, they get a bonus 1,000 points. This isn’t Walters’ first foray into game shows; he was on “Let’s Make a Deal” about seven years ago, he said. This time, Walters, who now lives in Los Angeles, said he was recruited to be on the show by a friend from his dodgeball league, who had been trying to get on the show “Survivor” for the past couple of years. The friend got a call from one of his “Survivor” connections asking if he could get a team of five together to compete on a new show. The five all know each other: “I’ve been playing dodgeball with them for years,” Walters said. Being selected to compete on a game show is no easy or fast feat, he said. 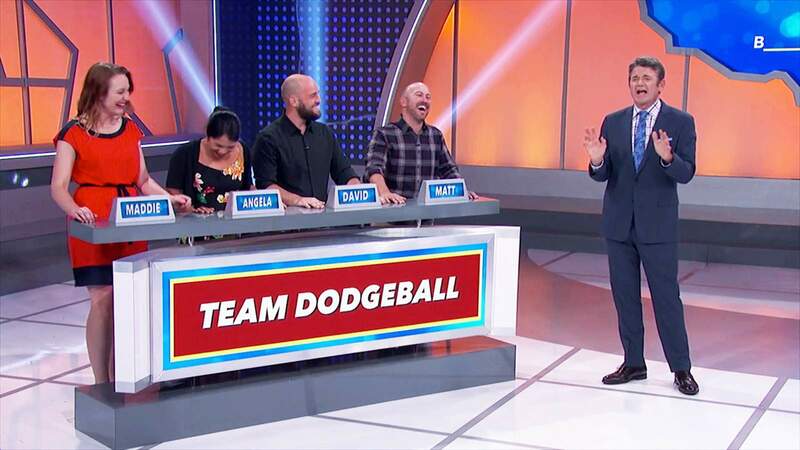 The episode his team – aptly called “Team Dodgeball” – was on was filmed several months ago, but the process leading up to filming started in March. He said once his team made the cut, they had to go in for a test screen, which was held in an office instead of at an actual studio. There were about five or six other steams there as well. After a brief introduction – “It’s a little bit like ‘Family Feud.’ It’s different, it’s unique. We’ll see how you do,” they were told – they had photos taken and were then in the hot seat. That’s when the teams were whittled down even further, and again, Team Dodgeball made the cut. They were given a filming day, which turned out to be the first day of filming for the new show. Walters said the day of filming is an all-day affair– and you don’t know if you’re even going to be filmed. They got to the studio at 9 a.m., and spent the day hanging out in what is called “holding.” Each team had its own room that offered a pingpong table and other games. “You’re with your friends, so it’s not a bad experience to be hanging out,” he said. Because of security, you’re not allowed to have any electronics, including cellphones, which turned out to be a challenge for a lot of people, he said. While there can be a lot of hanging around and waiting, Walters said there’s also a pretty extensive process contestants go through before they ever set foot on stage. First, there’s wardrobe to consider. While that’s going on, contestants go through a training session, where they go over the rules and the legal paperwork. Team Dodgeball wasn’t called to stage the first day. Because producers ended up with an odd number of teams, they were given a new filming day, this time, on the very last day of filming for the season, which was only about a week later, Walters said. “It’s amazing how many shows they can film in a very small amount of time,” he said. This time, Team Dodgeball made it to the stage. And it was a pretty overwhelming experience, Walters said. First, there’s a live audience that has been there for most of the day, so they’re so much better at the game than the teams are by the time they get there. He said he didn’t even know Higgins was the host until the day of filming. It’s that sensory overload that makes the game all the more difficult, Walters said. Walters’ episode of “America Says” will air Tuesday afternoon on the Game Show Network. We won’t know how Team Dodgeball fared until then, but Walters said the experience of being on the show is something he would do again. “Absolutely. It’s a very fun day; it’s an interesting thing,” he said. The episode of “ America Says” featuring Durango native David Walters will air at 3 p.m. MDT Tuesday on the Game Show Network.